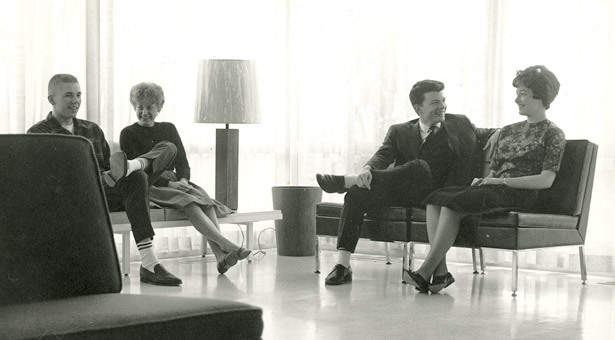 Seattle Pacific’s first residence hall that was built especially to house both men and women featured “a coeducational lounge” and stylish, up-to-date furnishings. Can you identify the residence hall where this photo was taken? Send in your answer by December 15, 2015, and you will be entered into a drawing to win an SPU sweatshirt! Contact us at spu.edu/response or response@spu.edu with your answer. 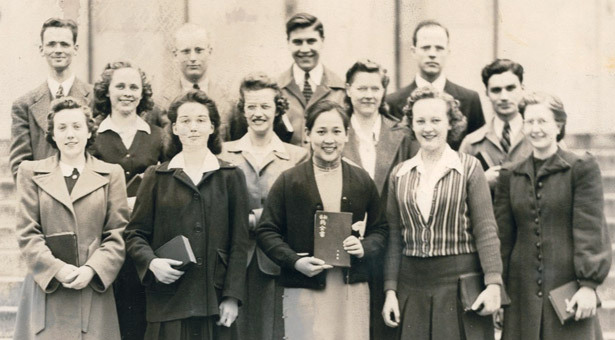 A number of you wrote in to identify Lora Jones ’43, also known as Zhou En Ying, from her student days as a young missionary. SPU’s 2007 Alumna of the Year committed her life to the gospel in China. “I was about 12 years old when she was a guest in our home for a few days. She made a tremendous impression on my life direction,” recalls Bob McDowell ’52. Congratulations to our contest winner, SPU freshman Ashley Yang!